OptumRx, UnitedHealth Group's pharmacy benefit manager unit, reportedly sent a letter to pharmaceutical companies in December outlining several demands drugmakers must meet if they decide to lower list prices, according to a Bernstein investor memo. The memo, written by Ronny Gal of Sanford C. Bernstein & Co., claims that OptumRx wants a seven-quarters notice before any price reduction. In addition, it wants rebates to remain "equivalent." It is not clear if the PBM wants rebates to remain the same or the same percentage of a price. The letter from OptumRx only applies to Medicare Part D plans. 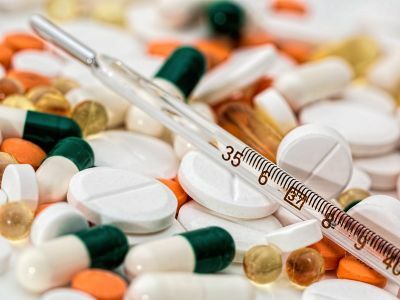 According to the investor memo, pharmaceutical companies are unhappy with the demands in the letter, especially as many of them are looking to lower the list price for high gross-to-net products to lower patient copays. In addition, drugmakers said they were displeased with the tone of the letter, which indicates the PBM wants too much of a say in big-decision, large-scale reductions. News of the letter comes as the public debate between pharmaceutical companies and PBMs heats up. "Our goal in asking for advance notice of price changes in the lengthy Part D bid process is to achieve greater transparency and predictability in consumer premiums and out-of-pocket costs," OptumRx said in a statement to Becker's Hospital Review. OptumRx told Becker's that the majority of the Part D rebates are passed back to health plans, so the negotations "have virtually no impact on our bottom line."